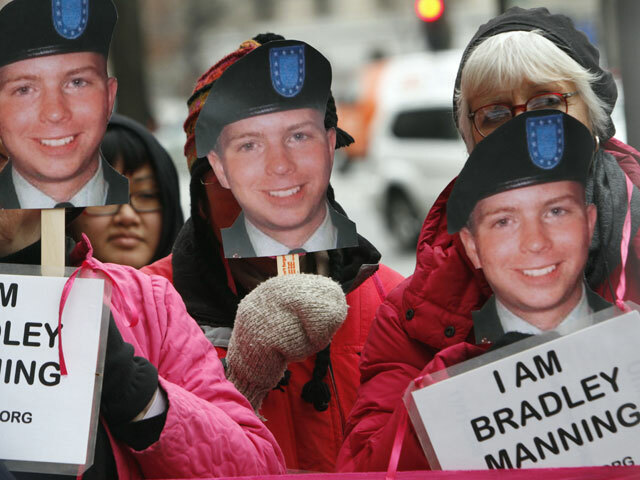 Bradley Manning, the Army private who has been accused of leaking sensitive government and military documents to WikiLeaks, has been held in solitary confinement in a military brig in Quantico, Va., for about six months, without any charges having been filed or pre-trial hearings begun. On Wednesday, his lawyer, David Coombs, filed a complaint with the Quantico base commander, accusing the brig commander James Averhart of abusing his "discretion." Coombs said that Averhart, against the recommendations of two psychiatrists, chose to place Manning under suicide watch earlier this week, which allows guards to force Manning to "remain in his cell for 24 hours a day," be "stripped of all clothing with the exception of his underwear," and have "his prescription eyeglasses taken away." The suicide watch was removed after about 48 hours when Coombs petitioned the Army Staff Judge Advocate's Office, which forced the brig commander to downgrade Manning's confinement to "Prevention of Injury" watch. A Quantico spokesman, 1st Lt. Scott Villiard, told the Washington Post that Averhart recommended the suicide watch, "based on input from more than one person," including medical professionals, mental health professionals and the Marine guards who watch detainees. Averhart "has a responsibility to make sure that these detainees are safe, secure and make it to trial," Villiard said. On his blog, Coombs claims that should Manning never have been placed on suicide watch, because two separate psychiatrists have recommended on three occasions removing him from "Prevention of Injury" watch, which is only slightly less confining than suicide watch. Coombs has been struggling with Manning's confinement and trial status for months now. Because Manning is being held under such harsh conditions without having been charged, Coombs has tried all manner of legal recourse, including filing a motion for Manning's release, a motion to dismiss the trial because of its slow start, and even a request for a speedy trial last week. The office of Manfred Nowak, special rapporteur on torture in Geneva for the United Nations, received a complaint at the end of December from one of Manning's supporters alleging conditions in the brig amount to torture, said spokesperson Xabier Celaya. At the time of the complaint, Manning was under "Prevention of Injury" watch. The U.N. has begun investigating and could ask the United States to stop any violations it finds. Manning will probably continue to be held under "Prevention of Injury" conditions at least until his pre-trial hearings begin next month, Coombs claims. Under those slightly less confining conditions, Manning will be alone in his cell "for 23 hours per day...the guards will check on him every five minutes by asking him if he is okay. PFC Manning will be required to respond in some affirmative manner. At night, if the guards cannot see him clearly, because he has a blanket over his head or is curled up towards the wall, they will wake him in order to ensure that he is okay. He will receive each of his meals in his cell. He will not be allowed to have a pillow or sheets. He will not be allowed to have any personal items in his cell. He will only be allowed to have one book or one magazine at any given time to read. The book or magazine will be taken away from him at the end of the day before he goes to sleep. He will be prevented from exercising in his cell. If he attempts to do push-ups, sit-ups, or any other form of exercise he will be forced to stop. He will receive one hour of exercise outside of his cell daily. The guards will take him to an empty room and allow him to walk. He will usually just walk in figure eights around the room until his hour is complete. When he goes to sleep, he will be required to strip down to his underwear and surrender his clothing to the guards."